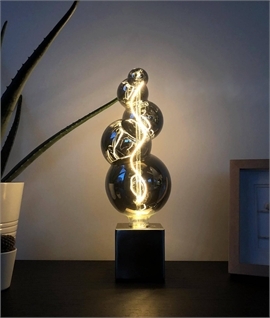 This abstract lamp is large in size whilst resembling a pear shape with geometric lines. 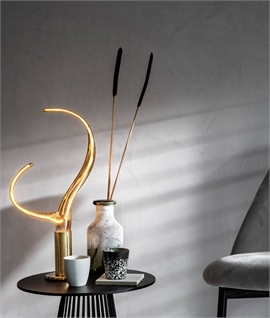 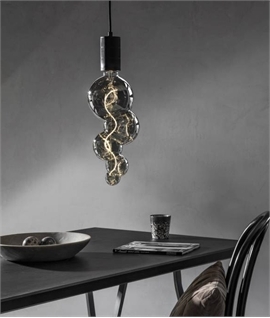 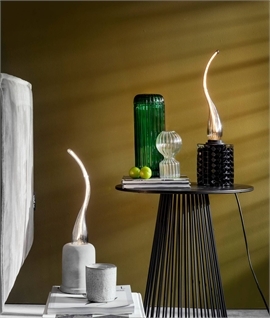 Unusual and perfect for making a statement in a fitting that needs an unusual lamp to take it from normal to sublime! 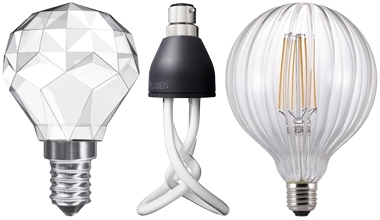 6 watt and dimmable with a 2200k colour temperature for a warm ambient glow. 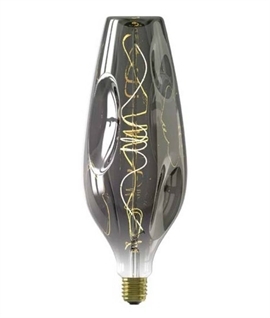 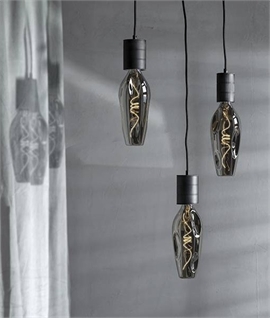 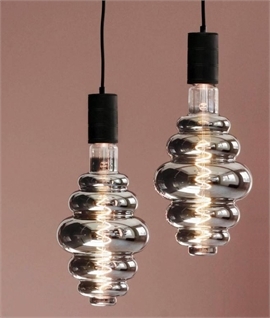 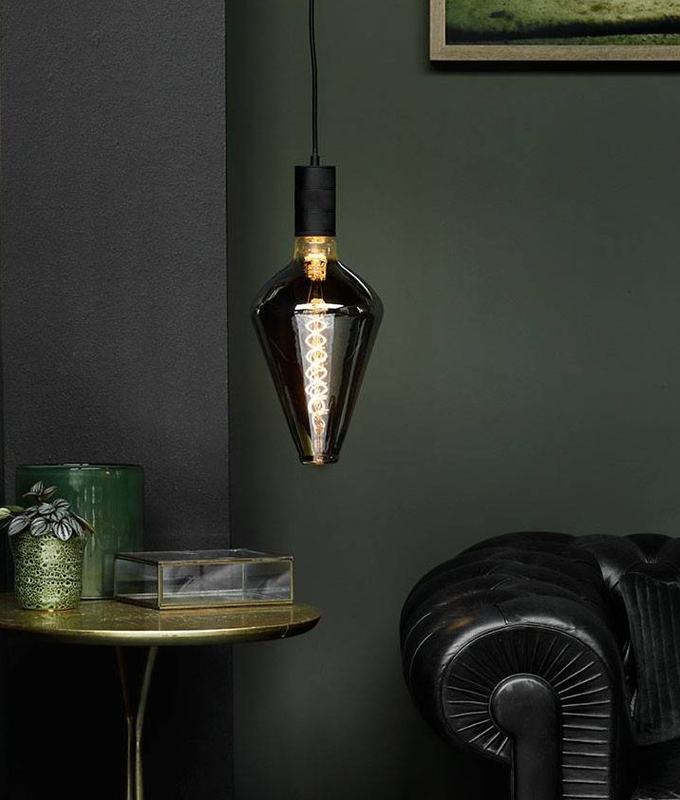 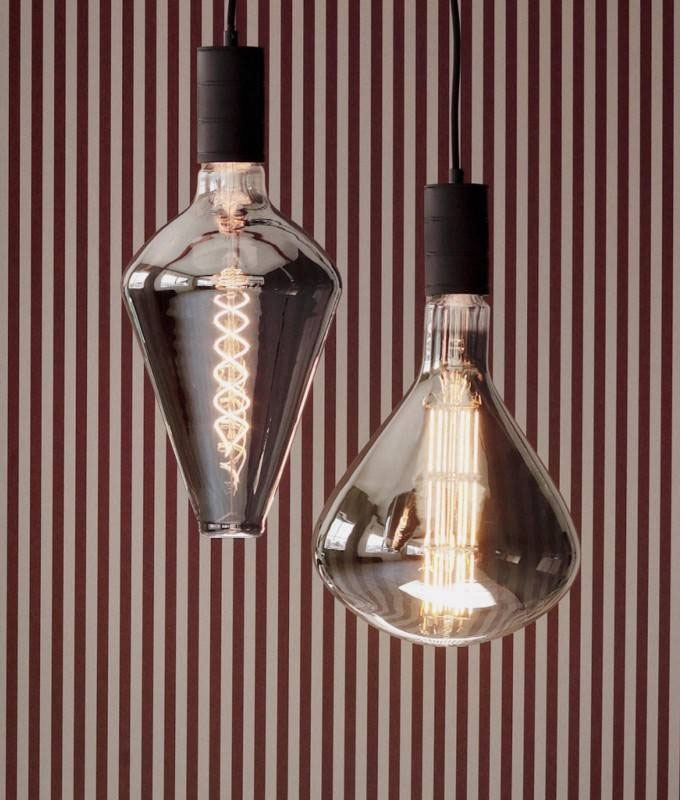 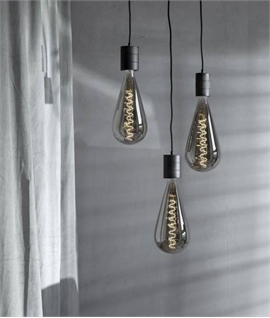 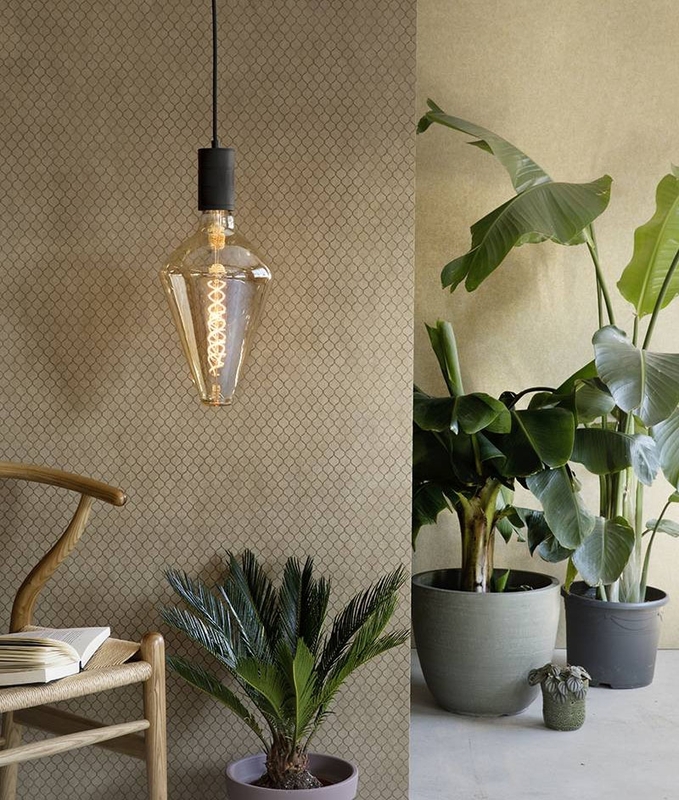 Why not consider installing a cluster of bare lamp pedants to showcase this fab bulb? 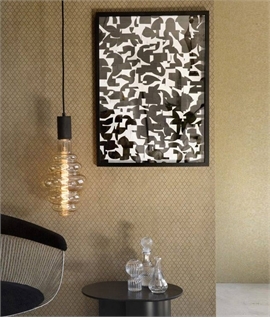 Available in a tinted gold or a smoke mirror-like glass. 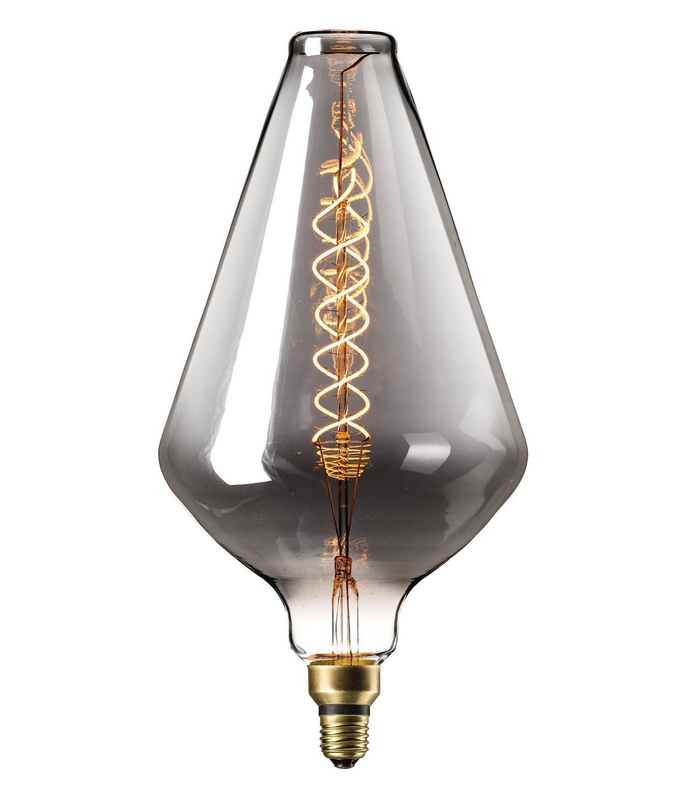 E27 base lamp. 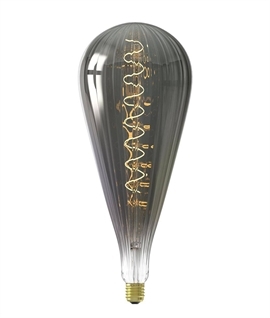 Complete with a decorative double helix filament. 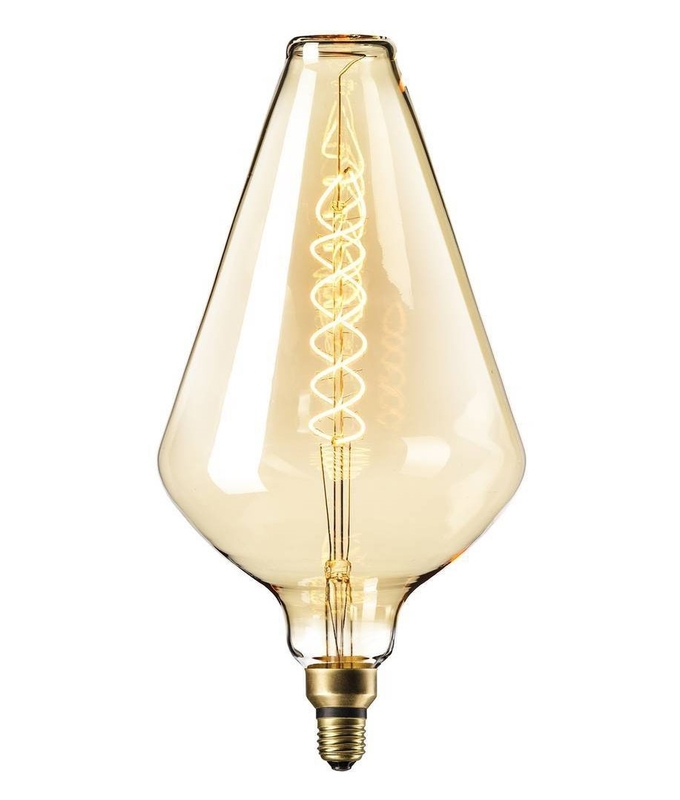 A 15,000 hour lamp life makes this perfect for long lasting energy efficiency.